The datasets described below are used in the Web Science 2014 Data Challenge. For more, information, please the call for participation. For updates, see the Data Challenge section of the Web Science 2014 website. There are 4 datasets in this collection. Each is available as a .tar.gz file containing either .json or .csv files. When the JSON format is used, each .json file contains a single JSON object. The format of that object is dependent on the dataset. See below for details. 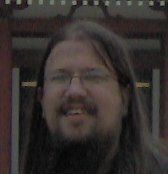 The datasets have been prepared by Dimitar Nikolov. A collection of Web (HTTP) requests for the month of November 2009. This is a small sample of the larger click dataset, documented here. (More on Web Traffic project). The data has been aggregated for every hour of the day. Thus, if more than one request occurred from the same referrer host to the same target host between, say, 2pm and 3pm, this is reflected in the ‘count’ field of the JSON object with a timestamp for 2pm, rather than by a different JSON object with a different timestamp. Metadata for the complete set of all PubMed records through 2012 (with part of 2013 available as well), including title, authors, and year of publication. All data provided originates from NLM’s PubMed database (as downloaded April 24, 2013 from the NLM FTP site) and was retrieved via the Scholarly Database. To foster the study of the structure and dynamics of Web traffic networks, we are making available to the research community a large Click Dataset of 13 53.5 billion HTTP requests collected at Indiana University. Between 2006 and 2010, our system generated data at a rate of about 60 million requests per day, or about 30 GB/day of raw data. We hope that this data will help develop a better understanding of user behavior online and create more realistic models of Web traffic. The potential applications of this data include improved designs for networks, sites, and server software; more accurate forecasting of traffic trends; classification of sites based on the patterns of activity they inspire; and improved ranking algorithms for search results. To foster the study of the structure and dynamics of Web traffic networks, we make available a large dataset (‘Click Dataset’) of about 53.5 billion HTTP requests made by users at Indiana University. Gathering anonymized requests directly from the network rather than relying on server logs and browser instrumentation allows one to examine large volumes of traffic data while minimizing biases associated with other data sources. It also provides one with valuable referrer information to reconstruct the subset of the Web graph actually traversed by users. The goal is to develop a better understanding of user behavior online and create more realistic models of Web traffic. The potential applications of this data include improved designs for networks, sites, and server software; more accurate forecasting of traffic trends; classification of sites based on the patterns of activity they inspire; and improved ranking algorithms for search results. a boolean flag for whether the request was generated inside or outside IU. Traffic generated outside IU only includes requests from outside IU for pages inside IU. Traffic generated inside IU only includes requests from people at IU (about 100,000 users) for resources outside IU. These two sets of requests have very different sampling biases. No distinguishing information about the client system was retained: no MAC or IP addresses nor any unique index were ever recorded. There was no attempt at stream reassembly, and server responses were not analyzed. raw: About 25 billion requests, where only the host name of the referrer is retained. Collected between 26 Sep 2006 and 3 Mar 2008; missing 98 days of data, including the entire month of Jun 2007. Approximately 0.85 TB, compressed. raw-url: About 28.6 billion requests, where the full referrer URL is retained. Collected between 3 Mar 2008 and 31 May 2010; missing 179 days of data, including the entire months of Dec 2008, Jan 2009, and Feb 2009. Approximately 1.5 TB, compressed. where XXXX is the timestamp (32-bit Unix epoch in seconds, in little endian order), A is the user-agent flag (“B” for browser or “?” for other, including bots), D is the direction flag (“I” for external traffic to IU, “O” for internal traffic to outside IU), referrer is the referrer hostname or URL (terminated by newline), host is the target hostname (terminated by newline), and path is the target path (terminated by newline). For further details, please refer to the paper below. How can I acknowledge use of this data? Is the data available to commercial entities? Independent researchers? The dataset is made available for research use only. Therefore, we are only allowed to consider requests from established academic or industry research labs/organizations with a proven track record of research published in peer-reviewed venues. It is sometimes hard to determine whether a particular individual, group, or organization can be considered a research lab. Many corporations have R&D labs, which may produce white papers and the like. An organization may employ people who conduct or have conducted research. 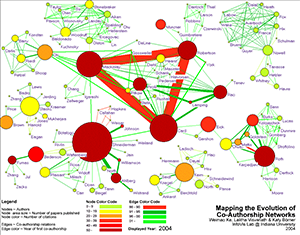 Such situations do not imply that we can share the dataset with these kinds of organizations. As it is not feasible for the data steward to make fine distinctions, we will apply simple rules of thumb. If research (and publication in peer-reviewed venues) is not the primary purpose of your organization, you will probably not qualify. This means that with rare exceptions, we will only be able to share the dataset with university research labs, or industry research labs whose work is autonomous from the for-profit activities of their corporate owners (such as MSR, IBM Research, Yahoo Research, etc). Can you tell me more about the data or show me a sample? Unfortunately we do not have the resources to provide more information than is available in this page or the publications from our group (see above). Does each HTTP request record correspond to a human click? How can I tell if any two requests are from the same person? You cannot, by protocol design. What about human subjects and privacy? The dataset has been approved by the Indiana University IRB for “non-human subjects research” (protocol 1110007144). The Click Dataset is large (~2.5 TB compressed), which requires that it be transferred on a physical hard drive. You will have to provide the drive as well as pre-paid return shipment. Additionally, the dataset might potentially contain bits of stray personal data. Therefore you will have to sign a data security agreement. We require that you follow these instructions to request the data. 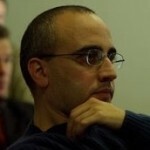 On December 16, Mark Meiss presented our paper “Modeling Traffic on the Web Graph” (with Bruno, José, Sandro, and Fil) at the 7th Workshop on Algorithms and Models for the Web Graph (WAW 2010), at Stanford. In this paper we introduce an agent-based model that explains many statistical features of aggregate and individual Web traffic data through realistic elements such as bookmarks, tabbed browsing, and topical interests. Online popularity can be thought of as analogous to an earthquake; it is sudden, unpredictable, and the effects are severe. While shifts in online popularity are not inherently destructive – consider the unprecedented magnitude of online giving via Twitter following the disaster in Haiti – they indicate radical swings in society’s collective attention. Given the increasingly profound effect that large-scale opinion formation has on important phenomena like public policy, culture, and advertising profits, understanding this behavior is essential to understanding how the world operates. In this paper by Ratkiewicz and colleagues, the authors put forth a web-wide analysis that includes large-scale data sets of the online behaviors of millions of people. 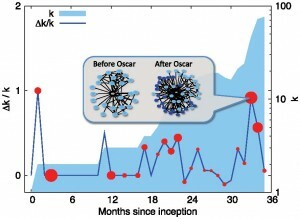 The paper offers a novel model that is is capable of reproducing all of the observed dynamics of online popularity through a mechanism that causes sudden, nonlinear bursts of collective attention. These results have been mentioned in the APS and PhysOrg websites. This week at NaN I’ll be running through a very preliminary version of my thesis talk, “Structural Mining of Large-Scale Behavioral Data from the Internet,” which is all about the things you can discover using network flow data and Web clicks. The big things that I’ll be looking to get as feedback have to do with organization and pruning — I’m not terribly confident of the order in which I present the material, and I have a LOT more things to say than time to say it in, so I can use some suggestions on what to keep and what to just point to the actual document for. We study the structure and dynamics of Web traffic and social media usage patterns. 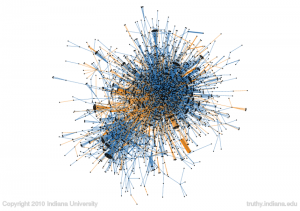 One source of data is a stream of HTTP requests made by users at Indiana University (our Web traffic (click) dataset is available!). Gathering anonymized requests directly from the network allows us to examine large volumes of traffic data while minimizing biases associated with other data sources. However, we also leverage data from server logs and browser instrumentation. 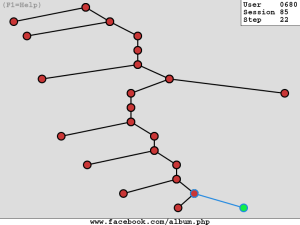 Referrer information is used to reconstruct the subset of the Web graph actually traversed by users. Our goal is to develop a better understanding of user behavior online and creating more realistic models of Web and social media browsing. The potential applications of this analysis include improved designs for networks, sites, and server software; more accurate forecasting of traffic trends; classification of sites based on the patterns of activity they inspire; and improved ranking algorithms for search results. Among our more intriguing findings are that server traffic (as measured by number of clicks) and site popularity (as measured by distinct users) both follow distributions so broad that they lack any well-defined mean. Actual Web traffic turns out to violate three assumptions of the random surfer model: users don’t start from any page at random, they don’t follow outgoing links with equal probability, and their probability of jumping is dependent on their current location. Search engines appear to be directly responsible for a smaller share of Web traffic than often supposed. These results were presented at WSDM2008 (paper | talk). Another paper (also here; presented at Hypertext 2009) examined the conventional notion of a Web session as a sequence of requests terminated by an inactivity timeout. Such a definition turns out to yield statistics dependent primarily on the timeout value selected, which we find to be arbitrary. For that reason, we have proposed logical sessions defined by the target and referrer URLs present in a user’s Web requests. Inspired by these findings, we designed a model of Web surfing able to recreate not only the broad distribution of traffic, but also the basic statistics of logical sessions. Late breaking results were presented at WSDM2009. Our final report in the ABC model was presented at WAW 2010. Recent efforts aim to develop a general model of information foraging that could help understand how people decide when to browse, search, switch, or stop while consuming information, entertainment, and other resources online. 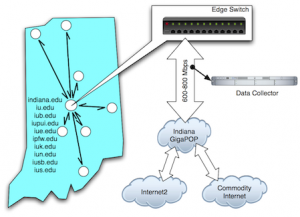 Mark Meiss was supported by the Advanced Network Management Laboratory, one of the Pervasive Technology Labs established at Indiana University with the assistance of the Lilly Endowment. This research was also supported in part by the National Science Foundation (under awards 0348940, 0513650, and 0705676) and in part by the Institute for Information Infrastructure Protection research program. The I3P is managed by Dartmouth College and supported under Award Number 2003-TK-TX-0003 from the U.S. DHS, Science and Technology Directorate. Opinions, findings, conclusions, recommendations or points of view of this group are those of the authors and do not necessarily represent the official position of the U.S. Department of Homeland Security, Science and Technology Directorate, I3P, National Science Foundation, or Indiana University. Mark Meiss presented our work on Web click traffic analysis at the First International Conference on Web Search and Data Mining (WSDM 2008) on the beautiful Stanford campus. His talk was very well received, as reported in Greg Linden’s blog. The quality of the conference itself was very good, with several excellent presentations. 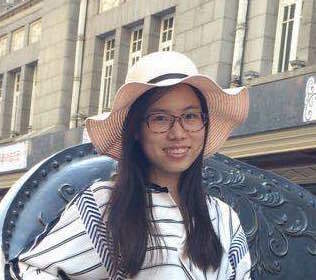 Those I found most interesting were Qiaozhu Mei’s talk on search log entropy, Nick Craswell on click position bias, Carlos Castillo on social media, and Paul Heymann on social bookmarks. I think future WSDM conferences should have an award for the best-delivered talk. This year I would have voted for Carlos Castillo. The next WSDM will be in Barcelona.